At No More Dirt, we know what marble needs to look spectacular, and each of our services is dedicated to treating it as the work of art that it is. We treat marble showers with the greatest care by stripping the walls and floors of calcium and lime deposits. We also make sure to get the stains out without ruining the surface. Marble restoration has never looked so good! Tile and grout go hand in hand when it comes to creating a look that’s unique and aesthetically pleasing. The color, texture, and appeal of the tile can be brought out through the accent color of the grout. Generally, darker grout shades bring out the individual beauty of each tile while lighter hues give way to the patterns of the tile as a whole. We offer the best tile and grout cleaning services in Florida! Durable, rustic and beautiful, both stone and tile surfaces add incredible character to a home. However, several factors can contribute to these surfaces looking worn, tired, or dingy. At No More Dirt, our expertise allows us to look at stone or tile and know exactly what it needs to look great again. From tile repair to stone restoration, we do it all! Click here for a complete overview of our Tile & Stone Repair services. Countertops are a subtle way to make or break the design of a room. Whether it’s the kitchen or the bathroom, your countertops lend to an overall impression of cleanliness, style, and beauty. Having countertops that are sub-par can ruin the whole feel and functionality of a room. No More Dirt is your countertop refinishing pro! 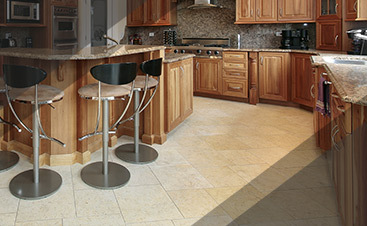 Click here for a complete overview of our Countertop Refinishing services. Your floors are one of the most noticed attributes in your home, so why settle for anything less than spectacular? Whether in your home or at the office, you should have something that is durable, yet beautiful, and with us, that is exactly what you get. When it comes to marble and tile floors, installation can be an overwhelming process if you do not know who you are working with. For this reason, we strive to get to know you and what you are trying to achieve, forming a long-lasting relationship based on integrity and trust. Because of our years of experience and superior attention to detail, you can rely on us to go above and beyond with your marble and tile installation. Nothing says beauty like a well-maintained marble countertop or tile floor. You have already made the decision to install beautiful materials into your home, so why not keep them looking as good as the day you got them at all times? Although marble and tile are durable materials, they can still crack and even chip. If this happens to you, you definitely do not have to install a shiny new surface to have them look like new. 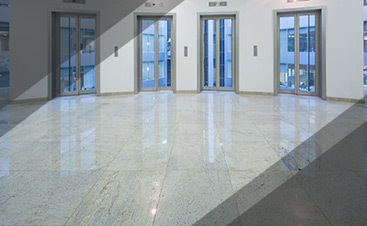 No More Dirt provides Florida with marble, glass, and ceramic tile repair to ensure your surfaces look outstanding. Using the best of the best, you can rely on us to provide you with high-quality repair work and results you will love. We also perform optimal marble polishing to keep those surfaces looking day-one fresh! Your floors may be in great condition and you have little to complain about, except that they no longer look as good as the day you got them installed. 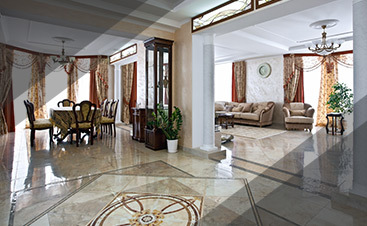 Like anything else, your marble and/or ceramic floors fade over time. This change is inevitable, but with No More Dirt, we have the perfect solutions. When your floors age, you do not have to replace them to restore the beauty you desire. Instead, we can restore your floors to make them look as good as new. Whether your floors are scratched, cracking, or missing grout, we can take care of the problem for you. No More Dirt is your hard floor cleaning authority! If you don’t see what you need here give us a call and we’ll be happy to answer any questions you may have. From hardwood cleaning to grout repair, we do it all. We do more than everyone else and your satisfaction is guaranteed 100%!